Don't you just love hard wood floors? They look so beautiful. Now that I have them through the main section of the house I realize they are the ultimate dust collector and when the sun is setting and shining through the dining room window....whew boy. It can be very scary. I'm sure living on a dirt road doesn't help either. Here is the a view from the side door. The floors go from the back hall, through to the kitchen and dining room. I don't know if this photo really shows the amount of hard wood properly. Just know, it's a lot. After a few weeks of sweeping, vaccuming with the hand vac and washing...I found the new way to clean my floors. 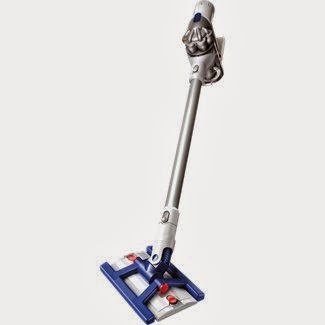 This is the Dyson Hard Floor cleaner. It sweeps, vacuums and washes in one movement. It's brilliant and as you can see from the above photo of my floors, it does a great job. It is basically a Swifter on steroids. Awesome. Not that it doesn't have a few drawbacks. Like any Dyson product, it's not cheap (order from Bed Bath & Beyond in the store and you can use a 20% coupon). It also does collect dust bunnies in the corners of the vacuum sections. Not a huge problem as you can easily pull them out and throw them away. Hard wood floor owners...I really think you are going to love this. It's a great gift as well (thank you Mom). 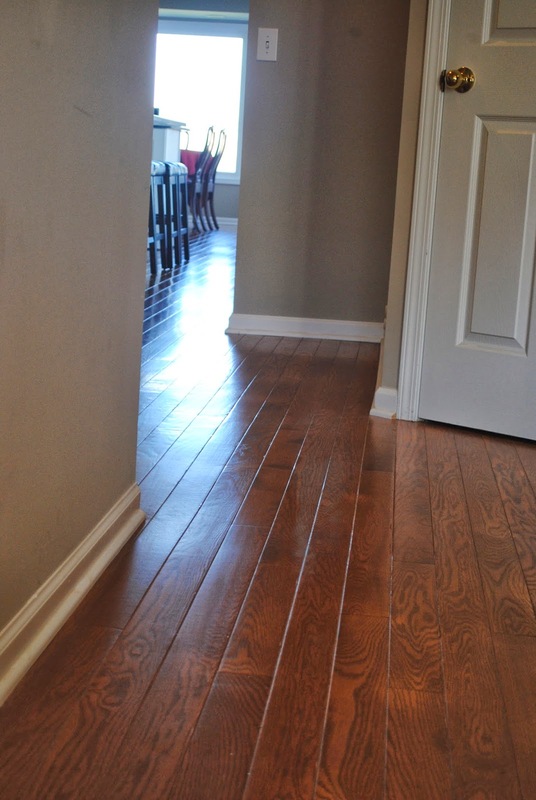 Those are some gorgeous hardwood floors! Thanks for the product info on the Dyson. And you had me LOL at your last paragraph!